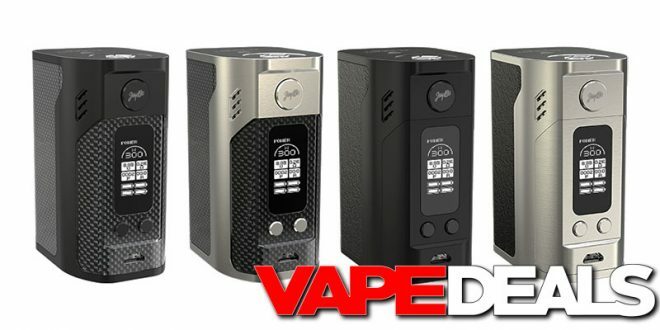 If you’ve been wanting to scoop up a Wismec Reuleaux RX300 but haven’t yet… here’s a deal for you. FireVapor just gave me the heads up that they have them in stock in three different colorways: carbon black, carbon silver & silver leather. And, they are on sale for just $26.99. Not a bad deal on a pretty solid box mod choice.